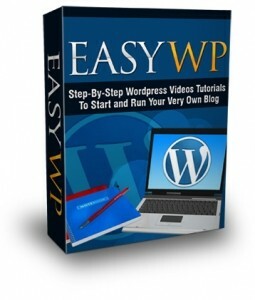 Step-By-Step Video Tutorials On How To Start and Run Your Own Blog For Fun or Profit!" Have you ever wanted to start your own blog but didn't know how to? What if you had your own blog where you can post your latest news, promotions, videos, photos, start surveys and more? How much would that mean to you? Blogging is also a great way to make money online. Once you've found a topic to start blogging about, it's just a matter of posting it to your Wordpress blog. What can you post about? and so much more! You can pretty much rant about anything since it's YOUR blog!